- An opportunity for our youth sailors along with anyone else as well (incl parents) to participate in a ‘sailing swap’ afternoon with St.George SC at GRSC. The objective is to give the youth/juniors/learn to sail the opportunity to sail on bigger boats – 13’s,16’s, MG’s, Moths etc in a short race environment, and meet other sailors/parents who sail on Georges River. 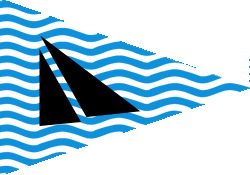 - A roster/draw will be prepared to ensure people get to sail on their preferred boats if possible and that all boats have right number of people on board. - After sailing, social gathering for all involved, maybe on the balcony and include a BBQ or maybe some food platters? At this stage, I just need responses please on who would like to attend and participate. I will put this up as an event in Team App and if you would like to participate, please ensure you RSVP to that and also indicate in the ‘comments’ section who exactly from your family would like to have a go and also your preference on which boat you would like to be put on.